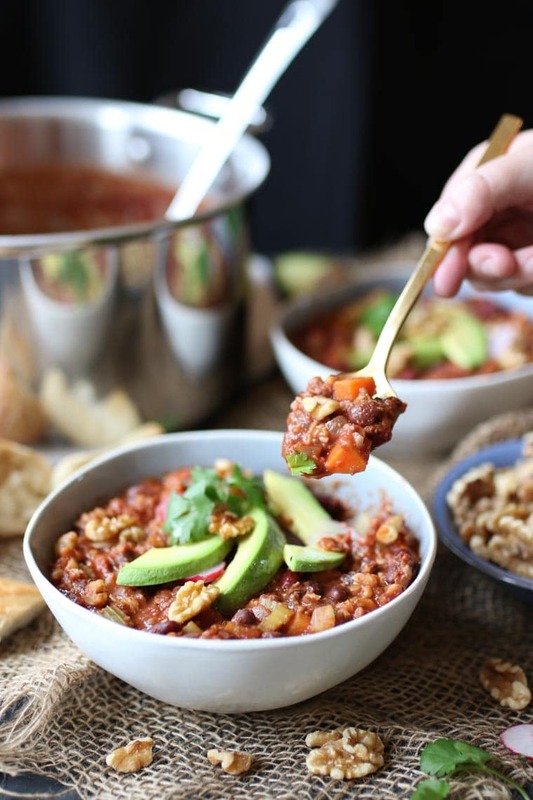 This NEW AND IMPROVED Vegan Keto Walnut Chili is a delicious Gluten Free, High Protein, Low Carb Dinner Recipe that vegans and carnivores alike will want to CRUSH. 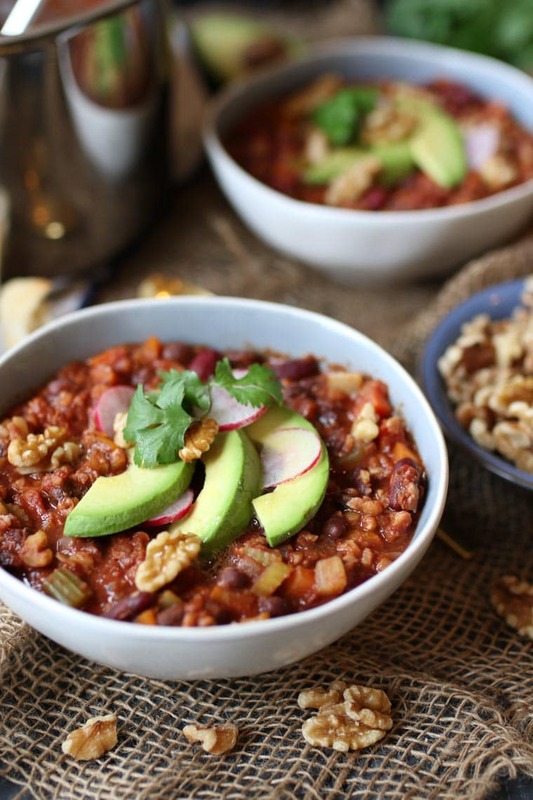 In addition to the walnuts, this Vegan Keto Walnut Chili has a lot of other really heart healthy ingredients going on. Tomatoes and bell peppers are rich in lycopene which is an amazing antioxidant. And dark chocolate is everyone’s favourite antioxidant. I will take any excuse to eat more chocolate! 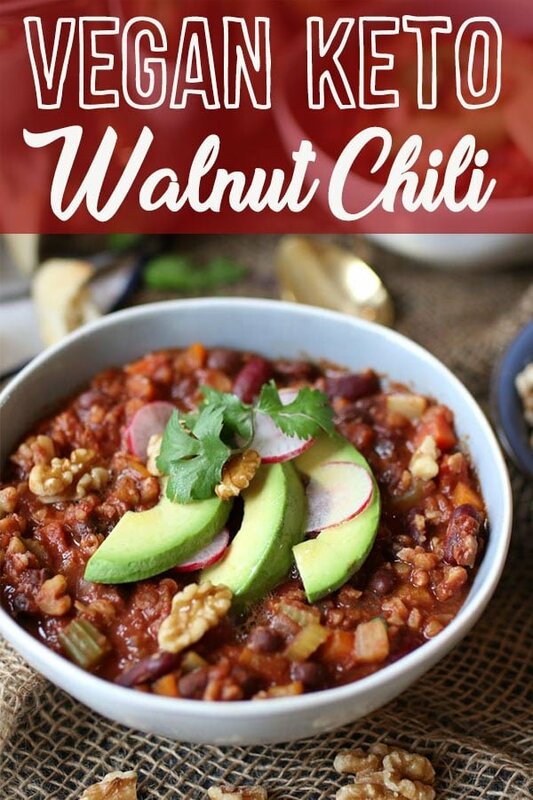 This new and improved vegan keto walnut chili has 10 grams of net carbs, 28 grams of fat, and 353 calories per serving. What’s your favourite meal for staying warm this winter? 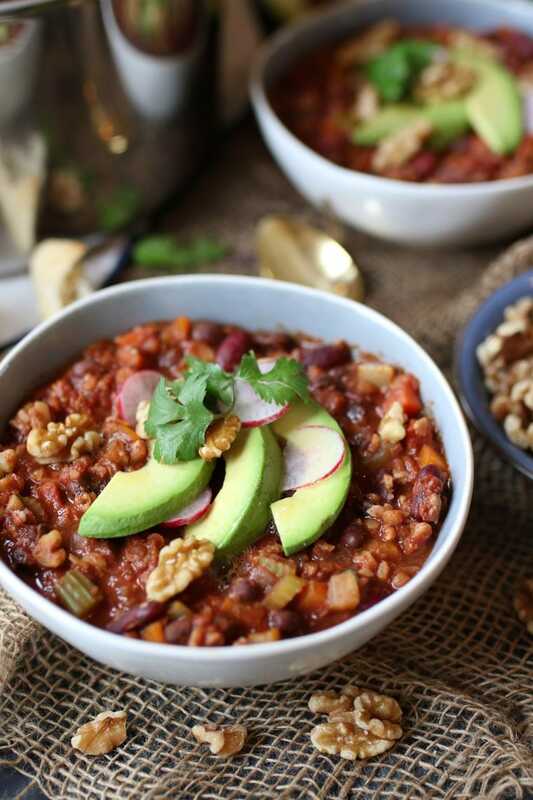 Have you tried my Vegan Keto Walnut Chili? Want to try another tasty chili? Check out this super decadent Chocolate Chili here! Heat the oil in a large pot over medium heat. Add the celery and cook for 4 minutes. Add in the garlic, cinnamon, cumin and paprika and stir until fragrant, about another 2 minutes. 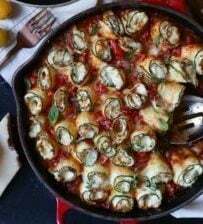 Add the bell peppers, zucchini, mushrooms and cook for 5 minutes. Add the chipotle, tomato paste, tomatoes, water, coconut milk, soy meat, walnuts and cocoa powder. Reduce the heat to medium-low and simmer for about 20-25 minutes until thick and the vegetables are soft. Season with salt and pepper, to taste. Top with avocado, radishes, and cilantro. 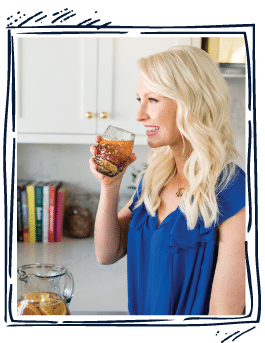 Next Post Isagenix, Skinny Tea, and Weight Loss Supplements – Do They Work? One bowl of this contains an entire daily allowance of carbs! I agree with Tom. I was all excited but soy and beans are not keto so calling it keto isn’t correct. Keto is more than keeping it within 20-30 net carbs. This might lazy keto, but not keto. Maybe consider correcting your name for this. What about the beans? 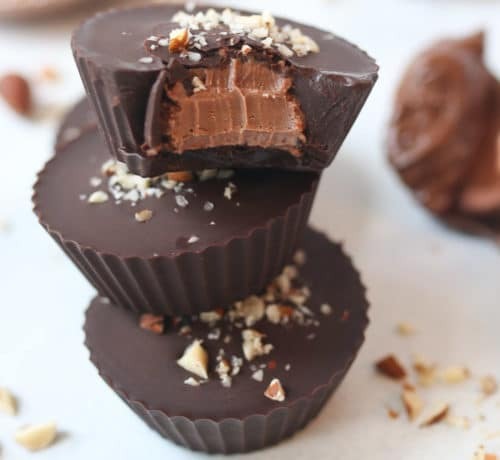 Should a keto dieter eat them in moderation too? You are a hypocrite trying to sell your ideas to people in any way possible just to get traffick on your website/youtube. I thought you were against keto but you had to ride the wave right? 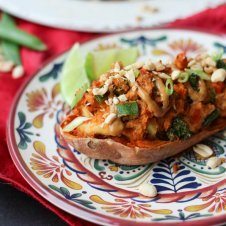 Just a FYI, we have re-tested this recipe and updated it to lower the carbs even further. It’s now 10 net carbs/ serving. How has this recipe been retested and now it’s 10 carbs? Did she change the recipe? Ya’ll need the calm down. Such negativity and straight up nasty/condescending comments. Its chili. Not anything to be so hateful about. Go protest on a street corner or something TOM. Nobody’s being hateful … just pointing out some facts which I’m glad I read before making this … new to keto people like myself who never would have known any of this would have turned around and made/ate it, totally screwing us up. So thanks TOM for the heads up! This won’t “screw you up”, it’s actually low in carbs. The beans are a low carb bean. Yikes! Glad I read this! I just started keto and was going to make this! This sounds delicious, but I think calling it “keto” might be misleading. Keto requires fewer than 20g net carbs per day (total carbs minus fiber), and this seems like it would be much more than that in just one serving. Do you have the nutritional information for a serving? Hi Danielle, with keto the daily net carbs can be around 20-30g, and one serving of this keto chili is around 24 grams of carbs without fibre. 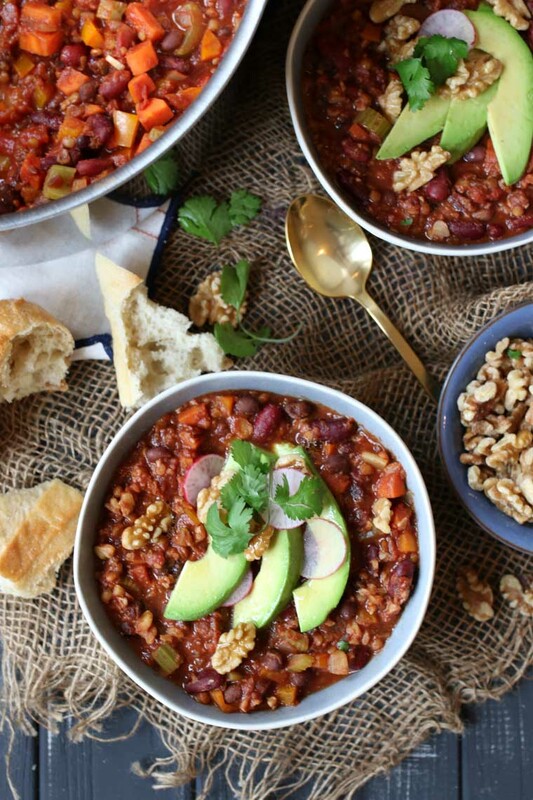 I’m all about the walnuts and chocolate in this chili! Such creative additions. It was cold here and snowed over the weekend, so this is perfect. Wow, that’s absolutely perfect recipe! All the great ingredients that I need for my meal. Amazing! Thanks so much Laura, enjoy! I’ve never thought to add walnuts to my chili!! I love how it would give it some crunch without croutons/chips. I love how versatile walnuts are. They’re great in everything. I do vegan walnut taco meat with them. the weather hasnt been as horrible but i am up for chili anytime. 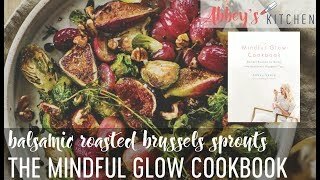 your version sounds really comforting and im interested to try walnut version soon. For sure. Chili anytime is a must! I’ve never thought about putting walnuts in my chili! Yum!